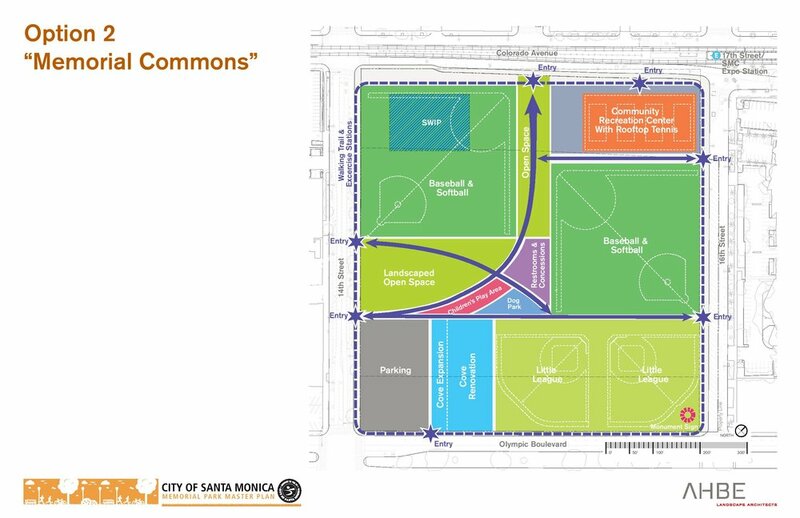 The City of Santa Monica is planning to expand Memorial Park! 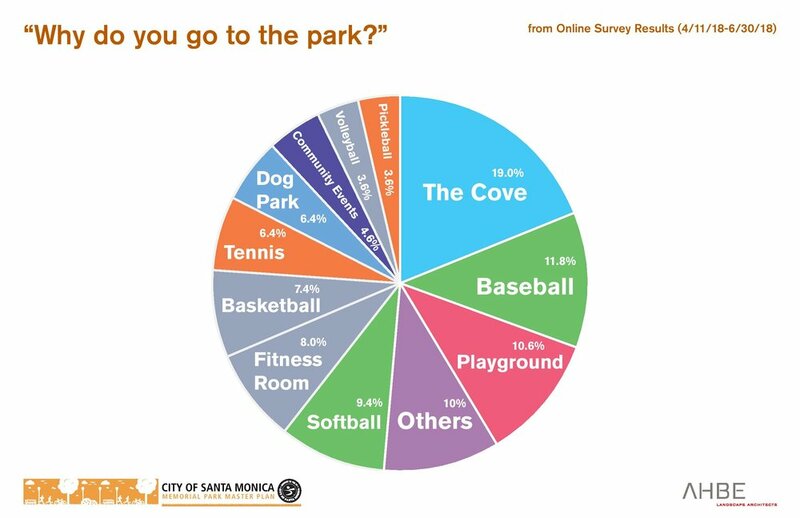 Over 170 park users, residents and stakeholders attended the second community workshop for the Memorial Park Master Plan on August 13, 2018 at the Santa Monica Civic Auditorium, East Wing. Attendees provided input on three master plan options for the renovated and expanded park by participating in table discussions and sharing feedback. If you missed the workshop, you can watch the CityTV recording of the workshop on YouTube by clicking here. You can also view the three master plan options that were shared at the workshop and the slideshow in its entirety - including summaries of the survey results - below. The first community workshop for the Memorial Park Master Plan was held on May 23, 2018 at the Memorial Park Gymnasium. Nearly 150 park users, residents and stakeholders learned more about the project and took part in small group discussions to express their aspirations and program requests for the renovated and expanded park. Memorial Park is a 10.3-acre community park with six baseball/softball fields, a skate park, four tennis courts, gated children’s play structures, on-site parking, restrooms, a dog run area and three City-owned and operated community buildings. 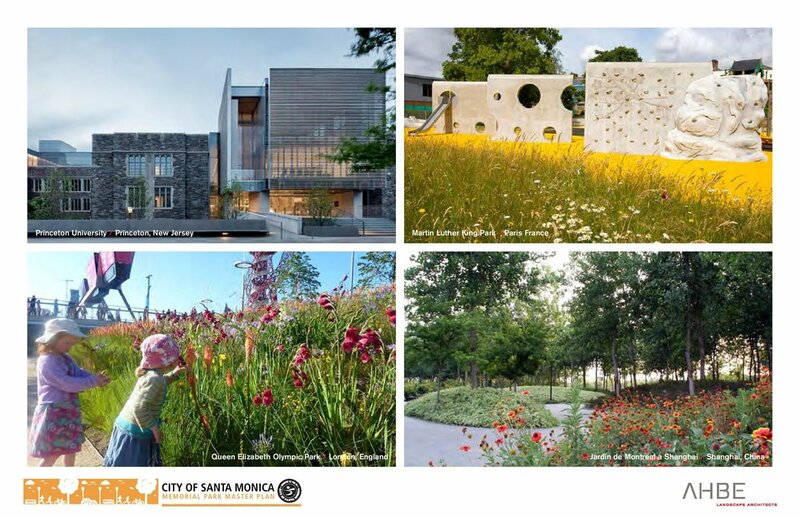 Santa Monica City Council awarded the feasibility study and master plan design of the Memorial Park Redevelopment and Expansion Project to AHBE Landscape Architects. Following a competitive process, AHBE was selected based on their understanding of the project, experience working with governmental agencies and conducting community outreach, and track record with projects of similar size and scope. 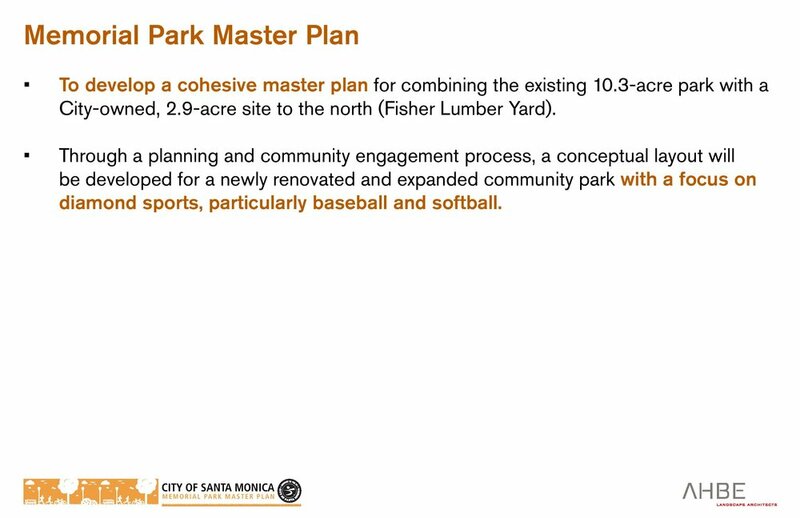 Their previous work includes Airport Park in Santa Monica and a master plan for Earvin “Magic” Johnson Park in Los Angeles.